Frank Sinatra hung out here—three shots of his old Chatsworth party palace. Shall it be 'My Way' or 'Going My Way'? 'Fly Me to the Moon' or take 'The Road to Bali'? These are the kind of tough choices one has to make these days while hunting for a celebrity party pad with an eye for what's modern in Southern California. 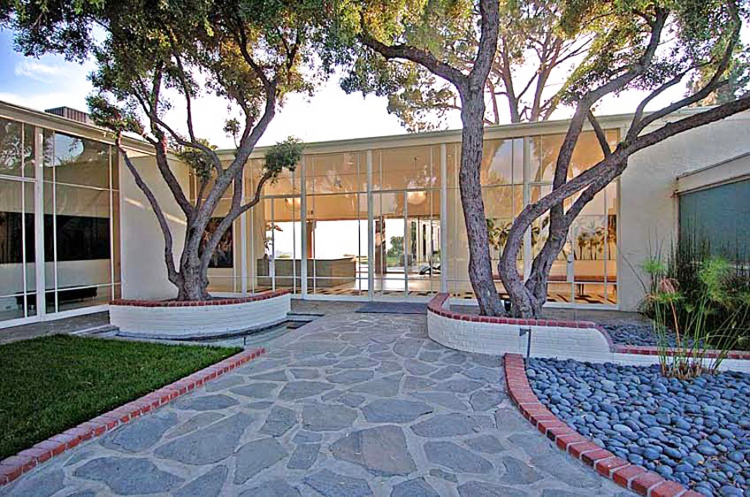 That's because modernist mini-mansions are on the market this month, starring Frank Sinatra and Bing Crosby—with Marilyn Monroe as guest star. The palace Bing built in 1957 in Rancho Mirage's exclusive Thunderbird Heights has been available for $5 million since late fall. The main house and pool house of the compound Frank used to lease on a knoll in Chatsworth was listed recently for $7.5 million. The two homes last sold, respectively, for $2.625 million in 2005 and $1.54 million in 1998. Of course, Bing and Frank were wartime matinee idols and mid-century crooning stars, perhaps yesterday's equivalents of Prince or Justin—Timberlake, not Bieber. Please! 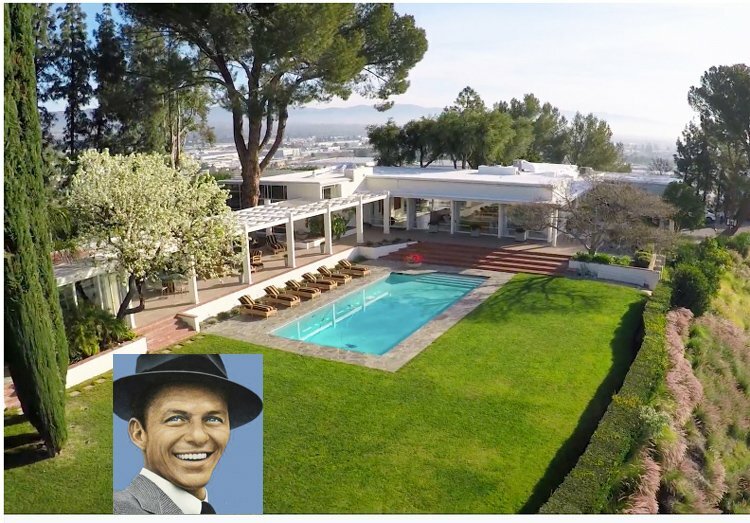 What's interesting is to see both crooners' taste in SoCal party pad architecture, although only the Sinatra house architect's identity is known. 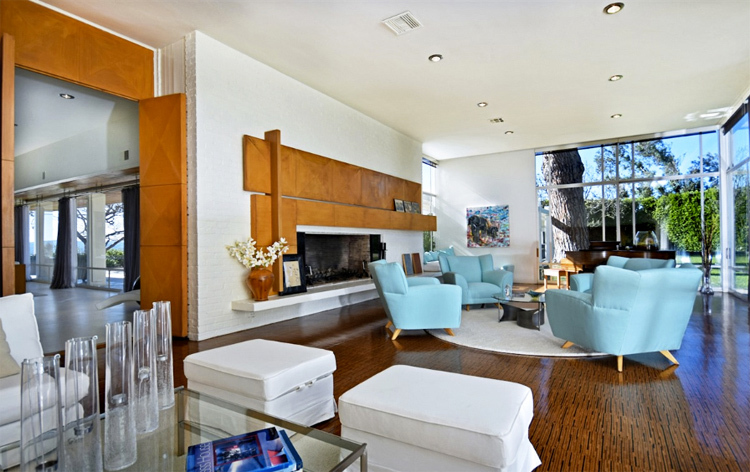 The 6,661-square-foot, four-bedroom Sinatra home, not to be confused with Sinatra's fantastic Palm Springs digs designed by E. Stewart Williams, was designed in 1949 and completed in '51 for Chase Manhattan heiress Dora Hutchinson by one of Los Angeles' most renowned architects, William Pereira. It sits on almost 14 acres with 360-degree view of the San Fernando Valley and Santa Susana Mountains, although only four-plus acres are included in the asking price. Ronald Johnson of Berkshire Hathaway HomeServices, one of the listing agents, said last week that a separate guesthouse and the remaining land could possibly be made available in the future. "There's some lure to that [guest] house, in that Marilyn Monroe stayed there," Johnson said blithely, noting that a tentative tract map has been approved, subdividing the remaining nine-plus acres into 13 lots.